Randy and Eiley Ehle came to The Journey in April 2018 from Eiley’s hometown near San Diego, where they'd live the previous four years. Prior to that, Randy was Associate Pastor at Cold Springs Community Church in Placerville for five years. 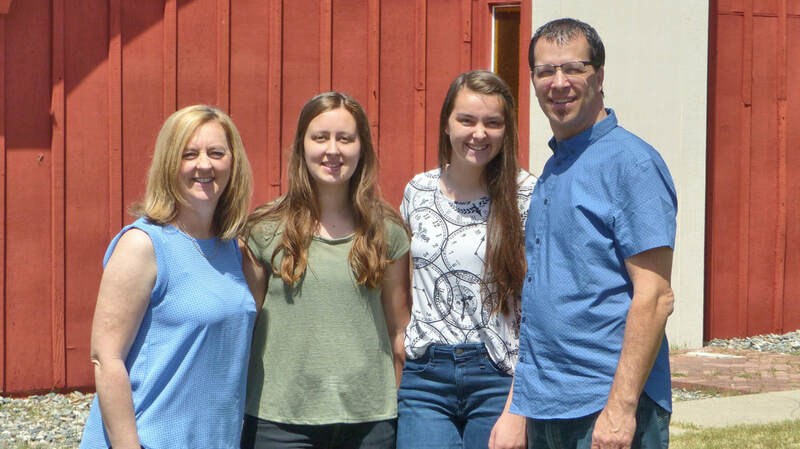 The Ehle's were married in 1992 and have an adult son, Morgan, and two teenage daughters: Molly, a college sophomore; and Megan, ​a high school sophomore. Other than growing up in Christian homes and inviting Jesus to lead them at a young age, Randy and Eiley’s lives were quite different: born and raised in San Diego, Eiley attended the same church until well into adulthood and never planned to leave. Randy, on the other hand, moved around every few years, living across the U.S. and in Canada, Germany, and England before moving to southern California to attend San Diego State University. Randy and Eiley met at church, fell in love, and got married. After graduating from SDSU with a degree in International Business, Randy worked in the financial industry while Eiley focused on raising three kids and dreamed about a career in interior design. In 2006, the Ehle's moved to Portland so Randy could attend Western Seminary, nurturing a seed planted nearly twenty years: to be a pastor. The seed finally sprouted three years later when Randy was called to serve as a pastor in Placerville. But when in 2013 Eiley’s younger sister was diagnosed with a brain tumor, pastoring was put on hold; the Ehle's returned to San Diego to walk alongside and support Eiley’s sister and her family, all the while pleading for healing that never came. Eiley, too, found new direction, and a way to merge her passion for design with the reality of a world of poverty. Inspired in part by a missions trip to Malawi, Africa, she launched a business, Dwellology™, that partners with artisans in impoverished areas of the world and brings their quality handmade products to market in the U.S. Through this partnership, these artisans—most of whom are women—are able to have meaningful, sustainable work, keep their families together, and make a difference in their own communities. Pastor Randy sees himself as a pastor not just to The Journey, but to our whole community. On any given day he may be visiting and praying with new patients at Adventist Health Sonora, substitute teaching in an elementary school classroom, announcing at a Sonora High School volleyball match, or having coffee with area leaders. Please pray for the Ehle's as they continue to settle into and get to know The Journey Church and the local community. You can email Pastor Randy directly through the following form.